and family fun mini-golf facilities all in one location. of the enthusiastic golfer or being an ideal spot for some family fun. It is one of the few locations in Perth offering such comprehensive golfing and recreation facilities. We have installed new driving range mats under the shaded practice area. 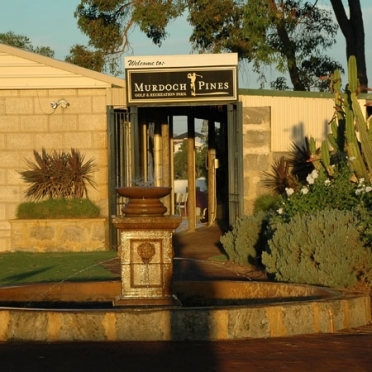 Located at a peaceful and tranquil environment at North Lake, Murdoch Pines is easily accessible from the suburbs of Murdoch, Winthrop, South Lake, Coobellup and North Lake. For those looking at just improving their game, our residential professionals Dale Wharton, John Ince and Mike Forrester now conduct group classes for Beginner and Intermediate golfers. Closed on 25 and 26 December, and 1 January.